This Store Window Lightbox Comes Ready to Install! This Signage is Modern and Utilizes Energy Efficient LED Bulbs! This Store Window Lightbox has a Silver Snap Open Frame. 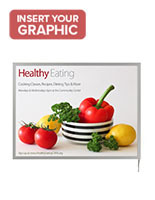 Posters printed on translucent material are recommended to maximize the backlit effect. 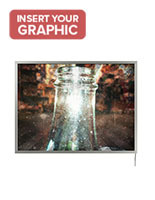 Last for up to 100,000 hours of continuous use for a low maintenance display that saves businesses money. 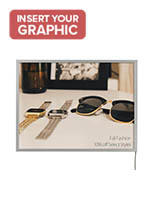 36" x 48" Frame holds large format posters which are visible from greater distances than standard size prints. Single sided to fit into any window display. 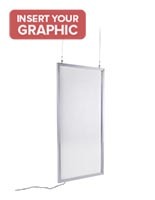 This hanging store window ligthbox, also known as LED signage, has a slim design which allows for brighter dispersion of the illumination! This display includes a power adaptor. This LED sign, store window lightbox that uses energy efficient LED bulbs has a long lifespan so businesses do not need to replace signage often. This illuminated signage panel is sure to get attention with this brightly lit display. 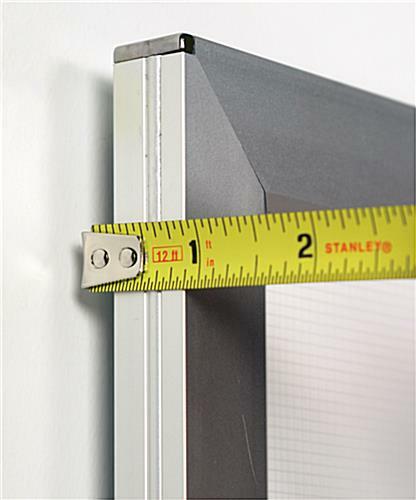 This store window lightbox that is silver comes with a hanging kit consisting of (2) 60" length monofilament lines, (4) "S" hooks, (2) ceiling hanger clips & (2) toggle bolts, for ceiling mounting. 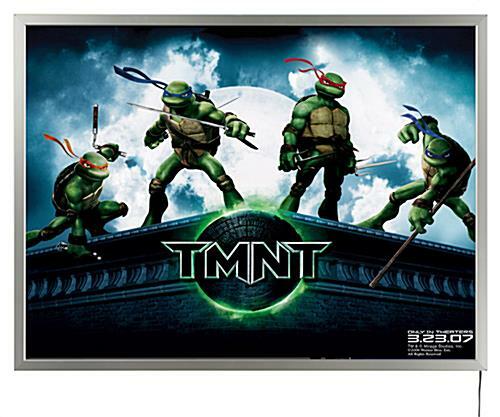 This LED sign holds large format posters that are 36" x 48". 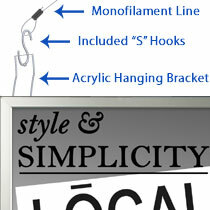 This store window lightbox is only .83" thick making it sleek and the thinner the signage, the brighter it is. 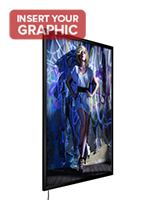 This display can last for up to 100,000 hours of continuous use! 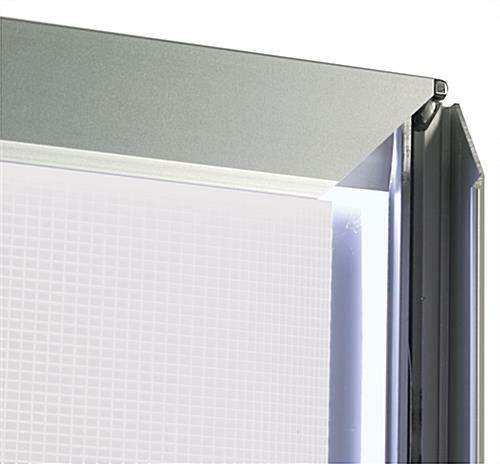 This store window lightbox that is sold at wholesale prices saves businesses money and electricity! 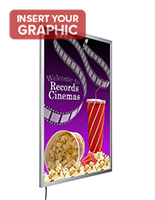 Purchasers can insert custom designed translucent posters! 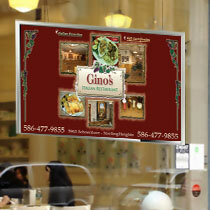 This silver store window lightbox is single sided and geared towards advertising to customers outside. 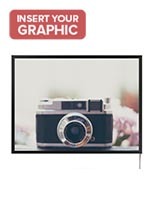 This low priced signage uses far lower energy than neon signs and former electrical signage, making it your best option for business marketing. 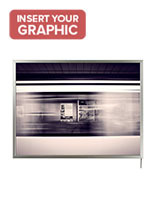 This store window lightbox implements a snap open frame design making it simple and easy to swap out posters. This form of advertising is one of the most popular for window display marketing and can help businesses magnify sales and traffic inside a store! 29.0" x 49.6" x 0.875"